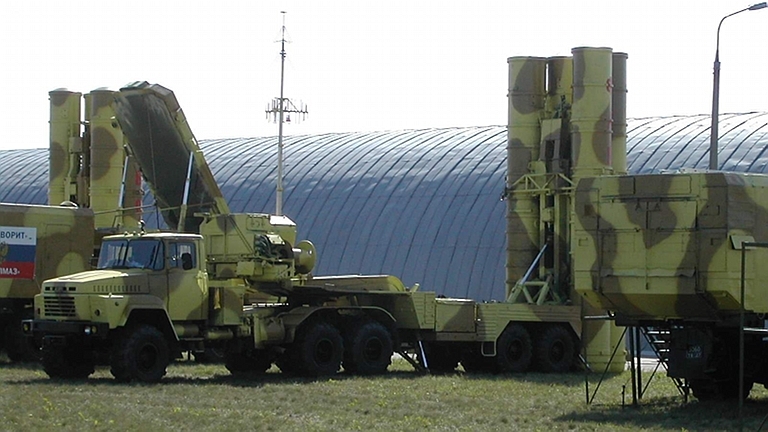 Operational PLA S-300PMU2 Favorit / SA-20B 5P85TE2 TEL launching a 48N6E2 round (Chinese Internet). 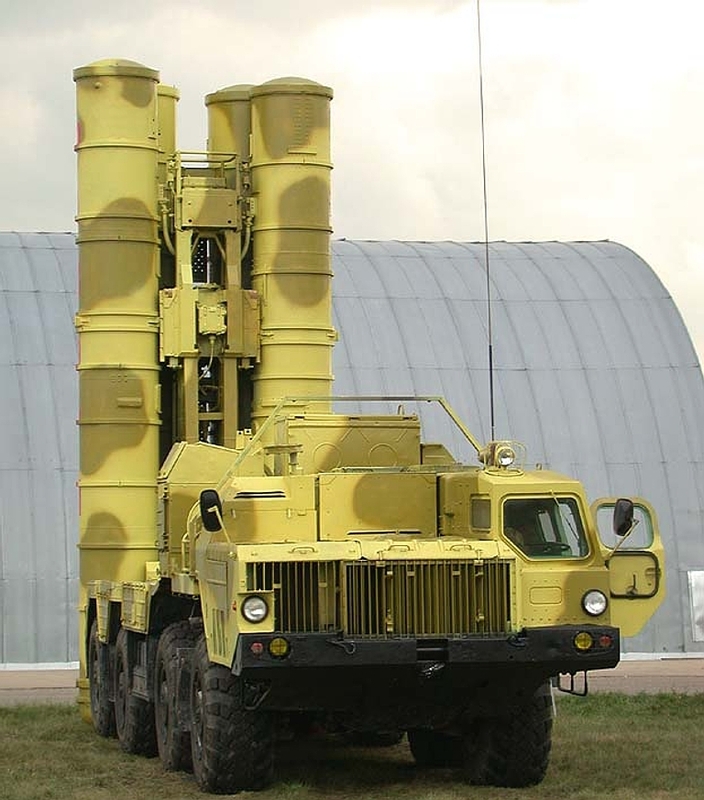 The S-300PMU2/SA-10E Favorit system, later redesignated SA-20B Gargoyle, is the last of the Almaz S-300P variants to carry the S-300P designation. 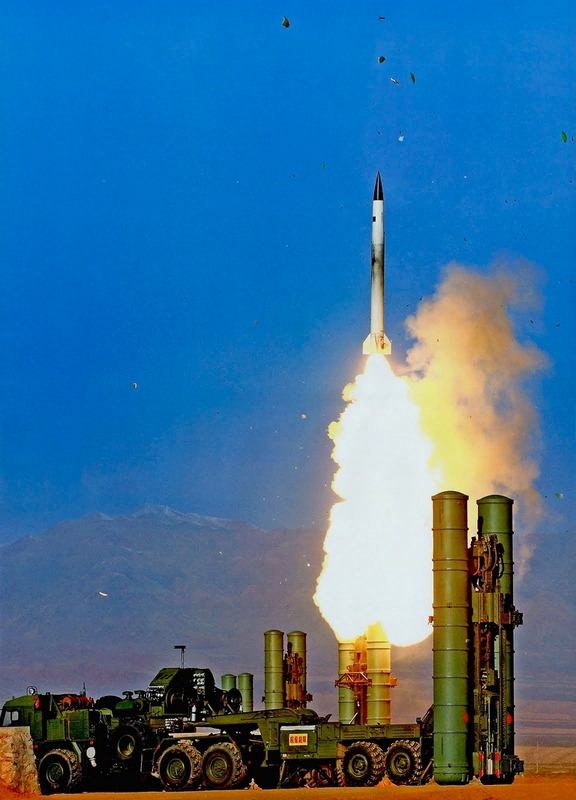 Developed between 1995 and 1997, it was intended to compete directly against the Antey S-300V and Patriot PAC-2/3 systems as an Anti-Ballistic Missile system, while retaining the long range SAM capabilities of its predecessor S-300P variants. 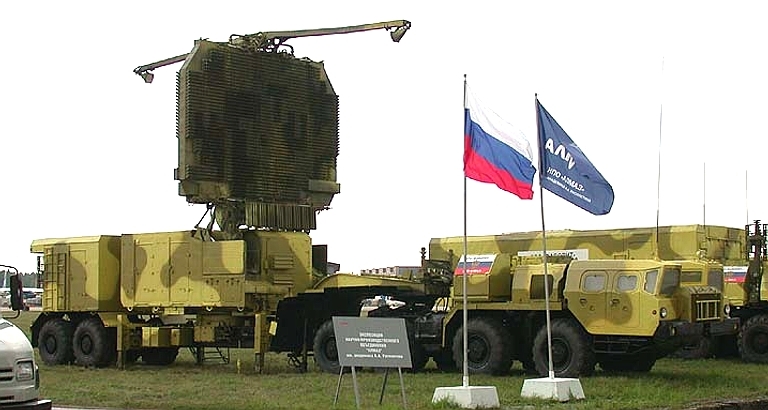 The Favorit incorporates incrementally upgraded 30N6E2 Tomb Stone, NIIIP 64N6E2 Big Bird radars and a 54K6E2 command post, and the LEMZ 96L6E as its early warning and primary acquisition system, replacing the 36D6/ST-68UM Tin Shield and LEMZ 76N6E Clam Shell. While the system retains compatibility with earlier 48N6 missiles, a new extended 108 nautical mile range 46N6E2 missile was added. 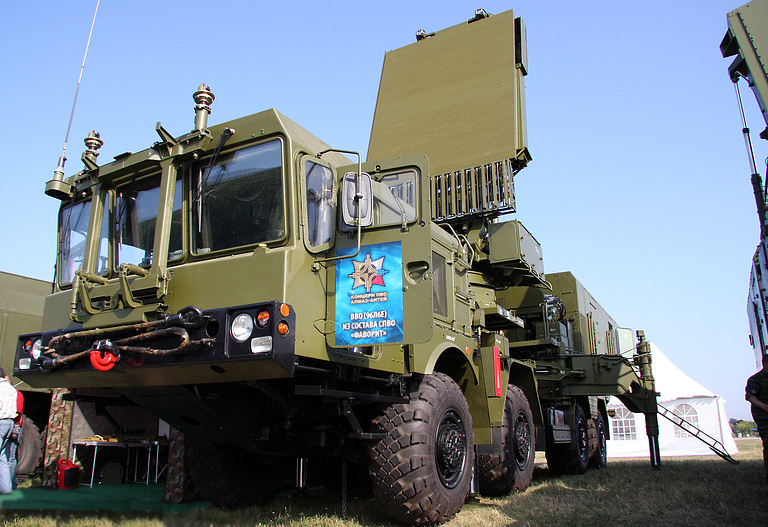 The Favorit's new command post has the capability to control S-300PMU / SA-10, S-300PMU1 / SA-20 batteries, and also according to Russian sources S-200VE / SA-5 Gammon batteries, relaying coordinates and commands to the 5N62VE Square Pair guidance and illumination radar. 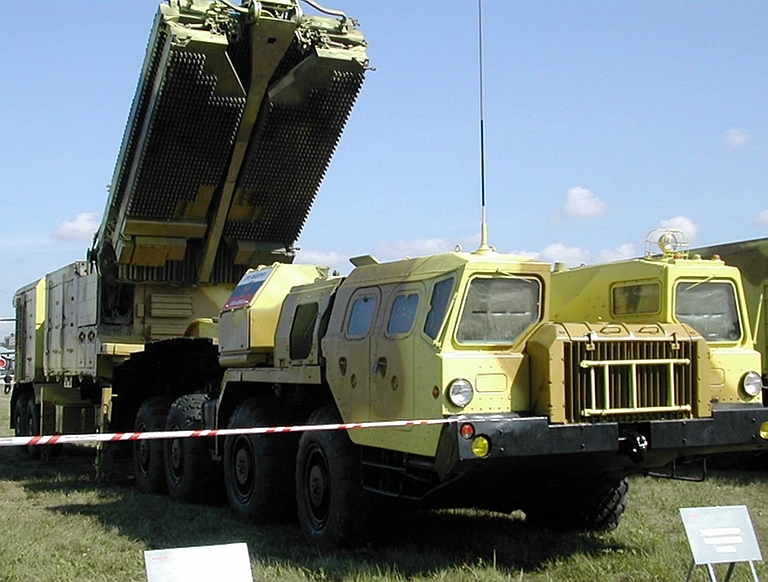 While the Favorit superficially appears like the SA-10B, it has a wide range of technological improvements internally, and a range of optimisations to improve performance in the Anti-Ballistic Missile (ABM) role. 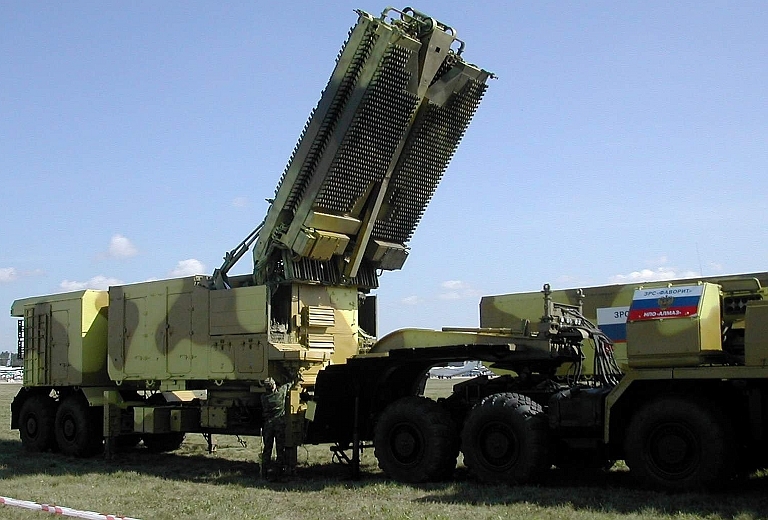 Almaz, the system integrators, and Fakel, the missile designers, claim to have repeatedly caused Scud target vehicle warheads to detonate during test intercepts at the Kapustin Yar range in 1995. 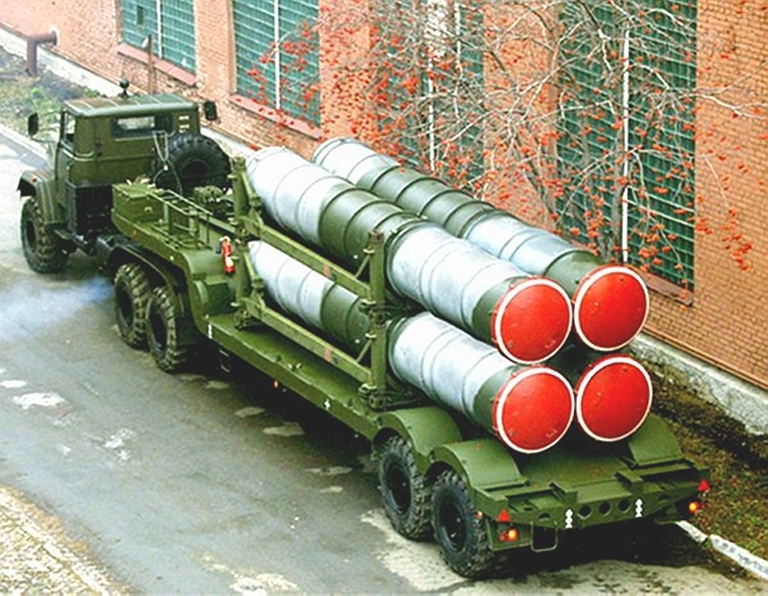 The S-300PMU2 is the most advanced variant of the S-300P series to be exported in larger quantities, with the PLA being the principal client at this time. 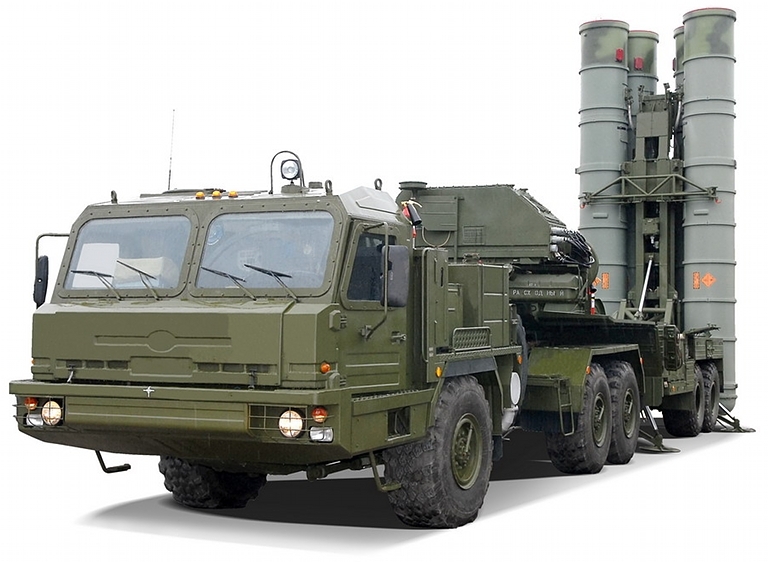 The S-300PMU2 Favorit is a direct evolution of the S-300PMU1, that in turn having evolved from the S-300PM / SA-20A variants, which were a deep redesign of the self-propelled S-300PS / SA-10B. 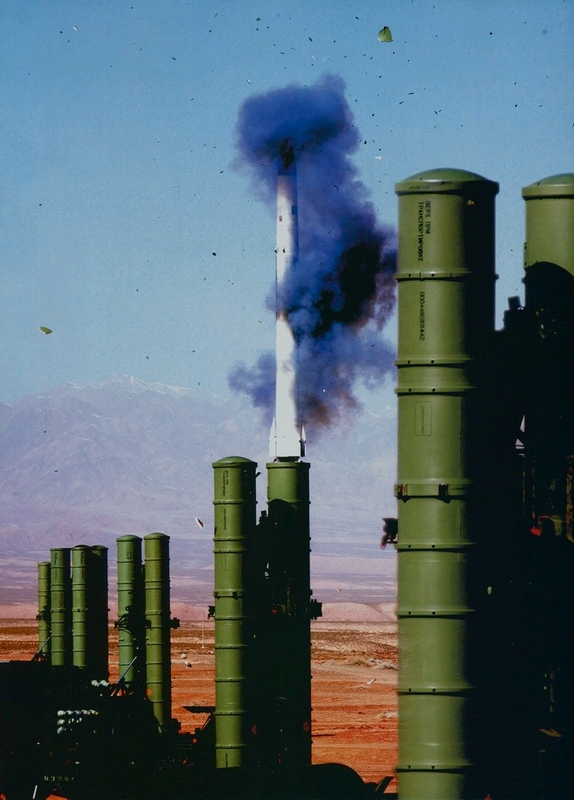 The system became a platform for a series of technology insertion upgrades, most of which became production features in the subsequent S-400 Triumf, which was initially designated as the S-300PMU3. An example is the four round launcher for the 9M96E/E2 interceptor missiles. The best technical discussion of design of the S-300PMU2 to date is a recent article by Alexander Ryazanov, Chief Designer, Vitaliy Semenov, Chief Designer, Almaz-Antey, and Dr Anatoliy Sumin, consultant to Almaz-Antey, published in the Russian language Vozdushno-Kosmicheskaya Oborona journal, No.2 (45), 20091. Follow on articles by other authors expand on this analysis2. Ryazanov et al / VKO - Reference 1. 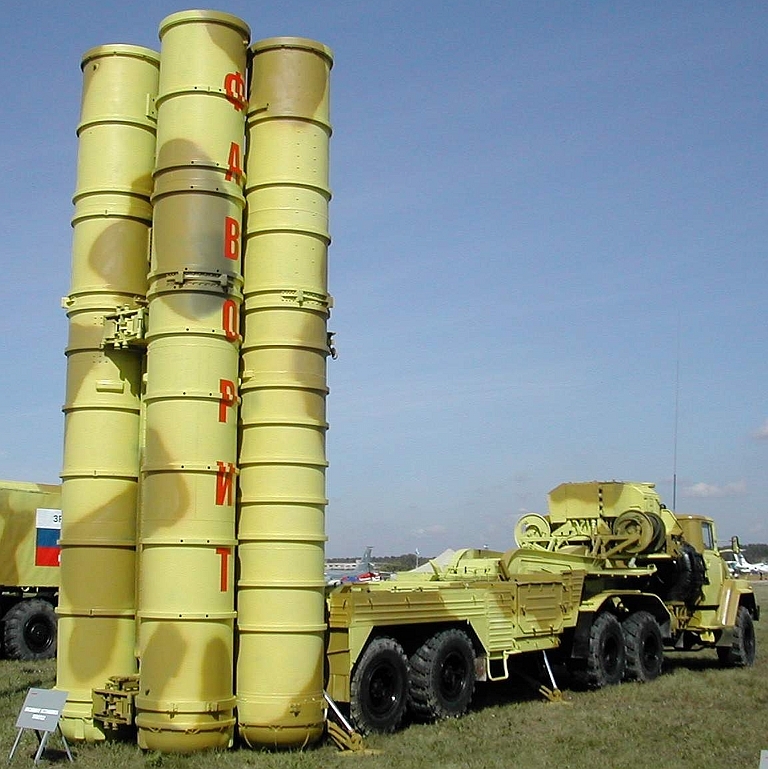 Ryazanov et al state that the S-300PMU2 began as a “deep modernisation” or technology insertion upgrade to the existing S-300PM/PMU1 / SA-20A design, and state trials (Russian OpEval) were completed in 2007. 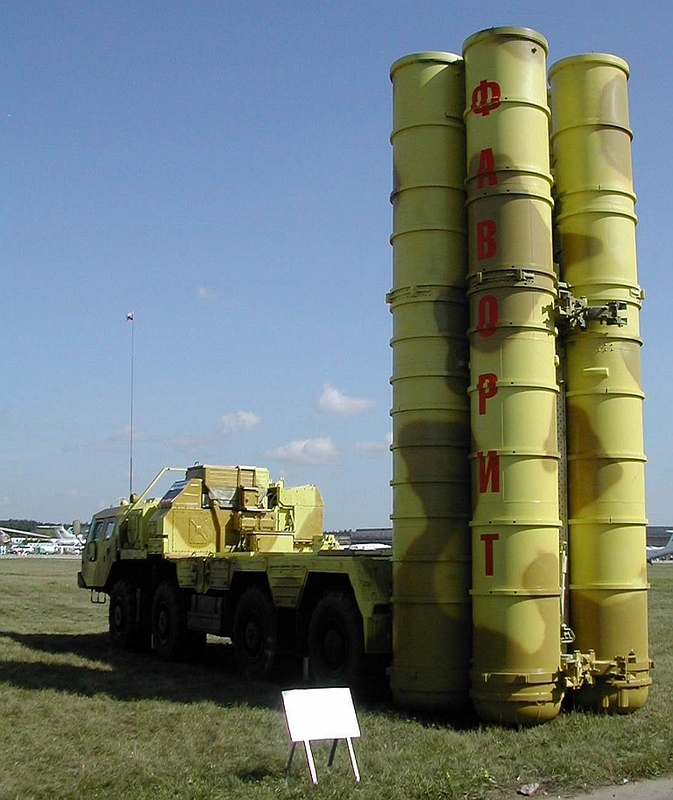 The protracted development of the S-300PMU2 resulted in technology migration from the concurrent but more advanced S-400 Triumf / SA-21. 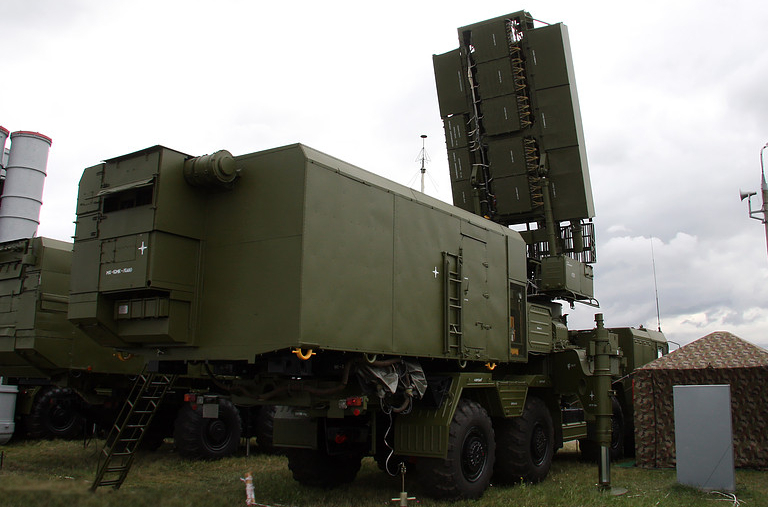 The intent was to maximise commonality in as many components as possible, between the S-300PMU2 Favorit and S-400 Triumf. The Ryazanov article notes that significant changes were made to system hardware, software, and algorithms for missile guidance. The 82Ts6E2 missile storage, resupply and maintenance suite. The 15Ya6ME digital data/voice radio relay equipment may be used to connect battery components to distances as great as 90 kilometres. 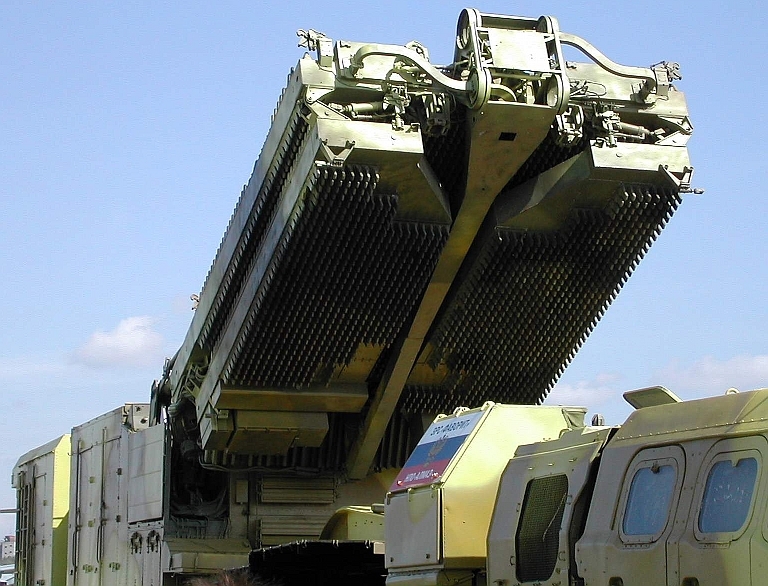 The 83M6E2 battle management system is backward compatible with the S-300PMU1, allowing it to control mixed batteries of SA-20A and SA-20B fire units. All battery components are self propelled, and equipped with independent electrical power generators for mobile operations, as well as mains grid power converters for static operations. Most equipment containers can be removed from their respective vehicle chassis for emplacement in bunkers or hardened shelters if required, not unlike earlier Russian SAM systems. The 30N6E2 radar head cabin retains comptibility with the 40V6M/MD mast system. 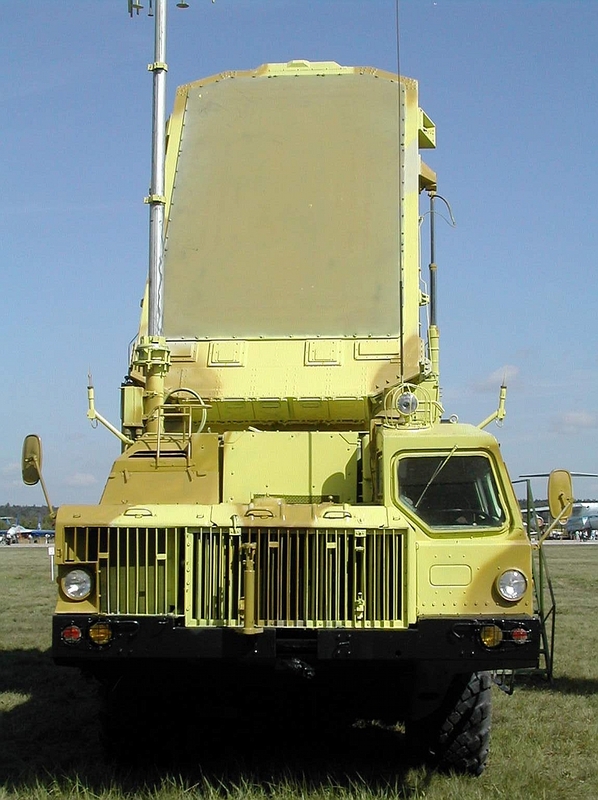 Individual fire units can operate autonomously, if equipped with a dedicated self-propelled 96L6E acquisition radar, as the S-400 / SA-21 does. Increased missile kinematic range from 150 km to 200 km. Early model 30N6-1 radar antenna undergoing maintenance. To the left is an auxiliary array. 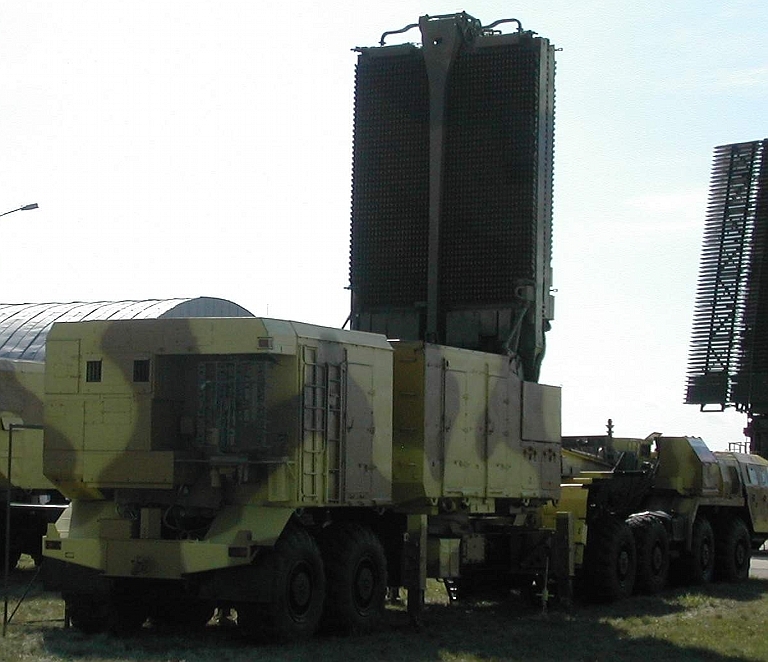 The S-300PMU2 has the capability to independently beamform these arrays for jammer nulling (via NVA Forum). The engagement radar was subjected to a number of upgrades in key areas, intended to support the higher capability of the new missile. Importantly, many of the changes were designed around legacy cabling harnesses in the F2E1 cabin. The NK Orientir precision navigation system, refer below. The CP was comprehensively redesigned, and unlike demonstrators, uses as much common hardware as possible with the S-400 Triumf / SA-21 55K6E CP. The new digital CP design fits into one half the volume and mass of the legacy 54K6E CP, with 3 to 4 times lower power consumption. A new 11Ya6ME voice communications link, based on the R-168-25UE radio equipment. Ryazanov et al did not detail design changes to the 64N6E2 Big Bird, but given the comprehensive replacement of legacy computer, display and C3 components in the CP and Tomb Stone, it is safe to assume the same technology was inserted into the Big Bird. 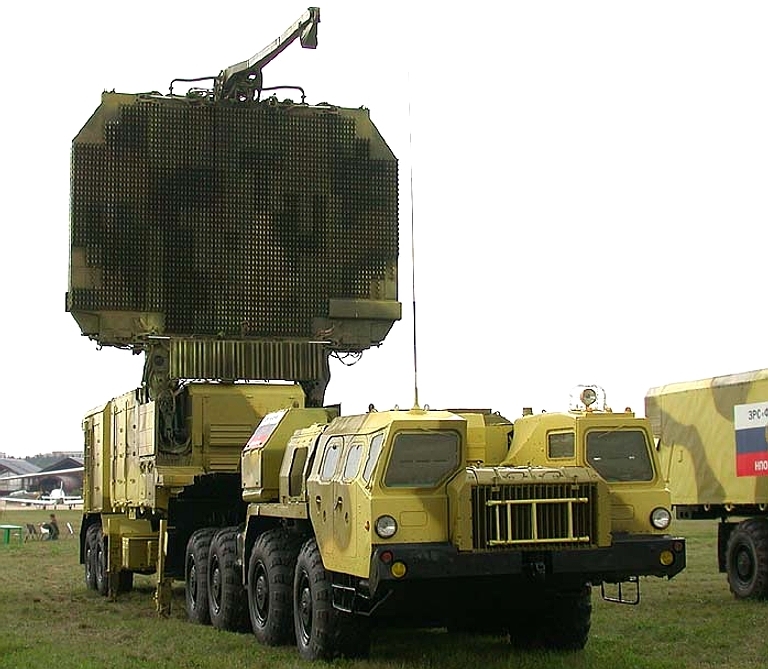 The article is the first to show the use of the common S-400 / SA-21 TEL. It is also likely that the 30N6E2 Tomb Stone and 64N6E2 Big Bird will be carried on MZKT-7930 chassis, common to the S-400 / SA-21. 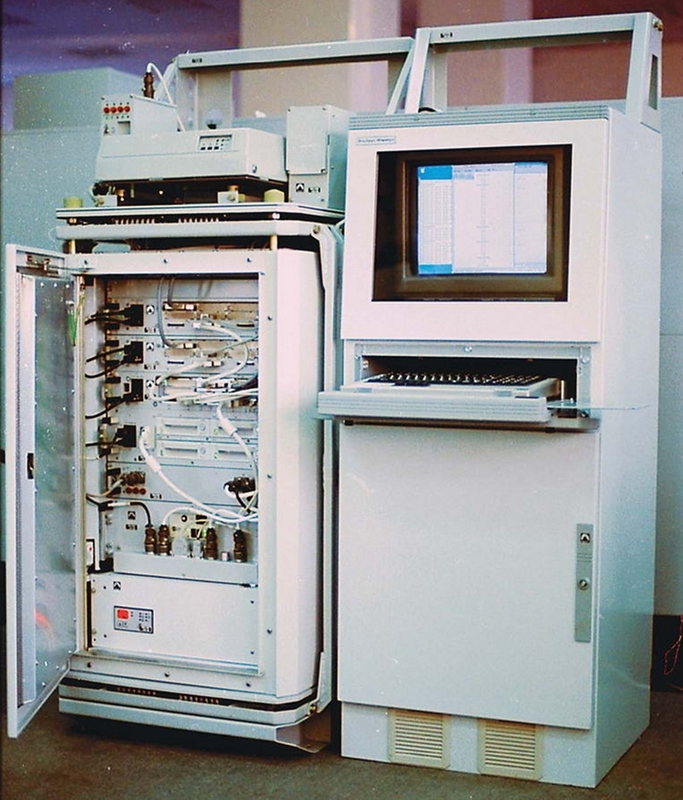 Ruggedised Elbrus-90 Mikro SPARC architecture quad CPU system (MTsST). 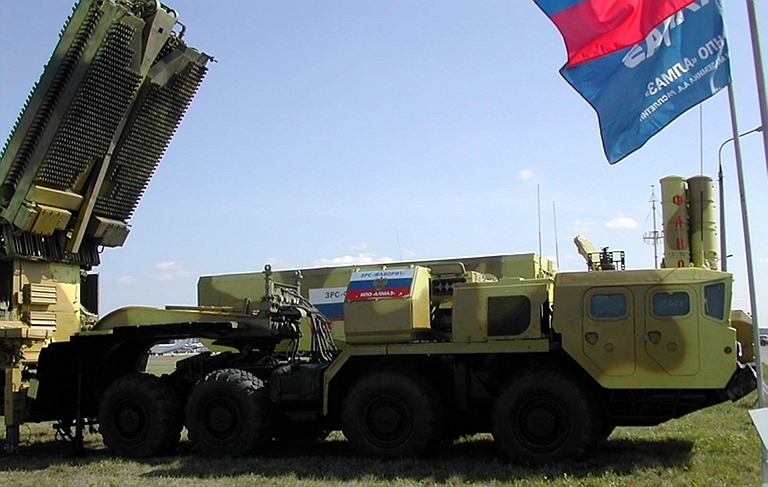 It is known that S-300PMU2 Favorit systems recently exported to the PRC have been supplied with the latest 5P85TE2 semi-trailer TELs, towed by BAZ-64022 6 x 6 tractors. 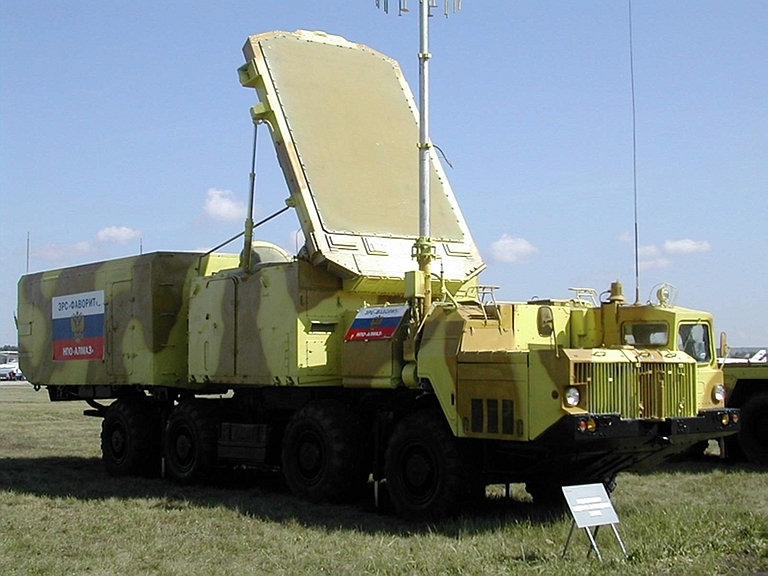 This TEL design is being supplied to Russian PVO units as part of the S-400 Triumf systems. 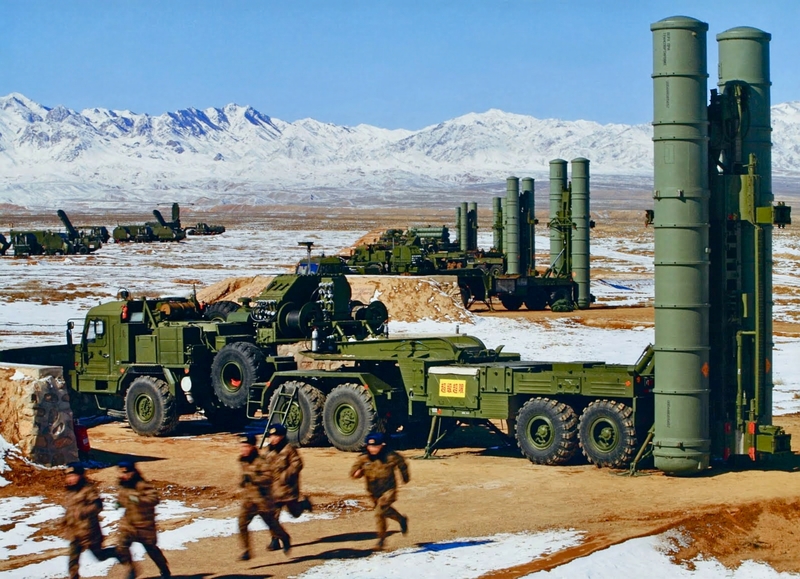 It is not known what other S-400 components may be part of the PLA S-300PMU2 configuration. 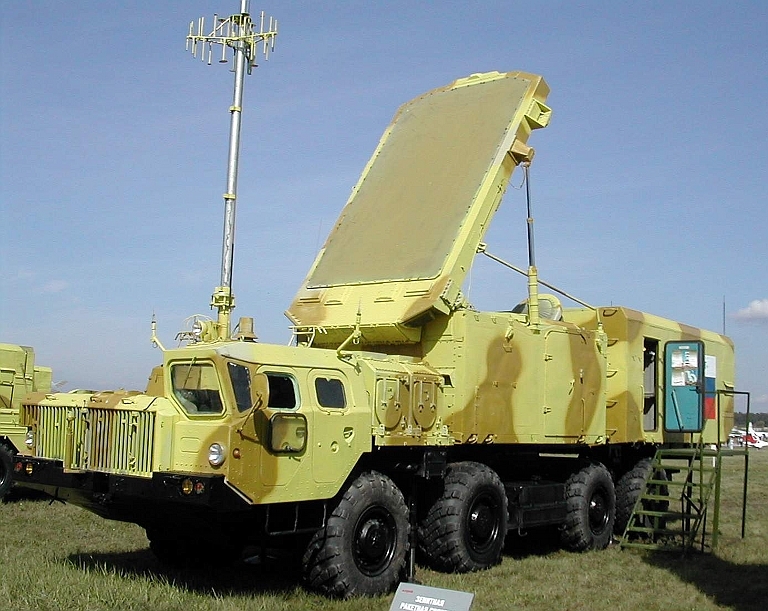 Above: PLA S-300PMU2 Favorit battery components - LEMZ 96L6E acquisition radar on MKZT-7930 chassis, 5P85TE2 TEL with BAZ-64022 tractor. 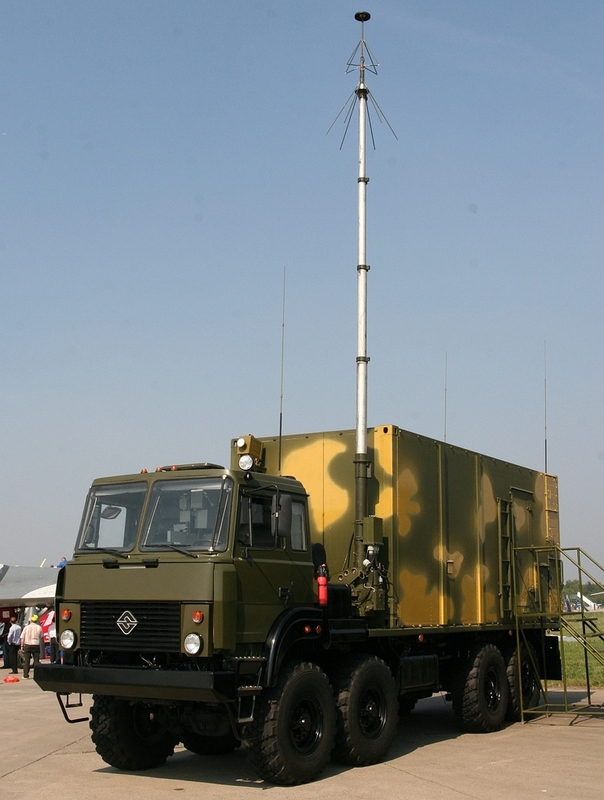 In the background a PLA tropospheric scatter communications system, modelled on the AN/TRC-170 series, used to support PLA air defence units (via Chinese Internet). 5P85TE2 TEL display model at Zhuhai 2010. The 40V6M/MD mast remains on offer for the 30N6E2 Tomb Stone (© 2010, Air Power Australia). Above, below: Operational PLA S-300PMU2 Favorit / SA-20B 5P85TE2 TEL launching a 48N6E2 round (Chinese Internet). 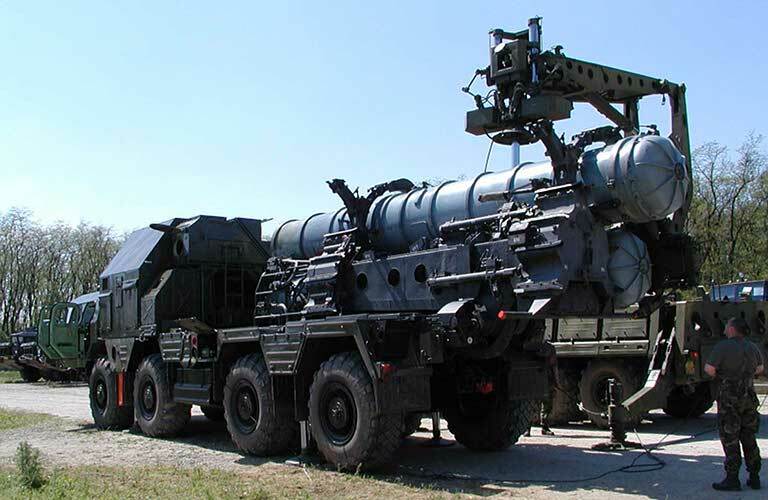 The state-of-the-art NK Orientir precision navigation system is an option on current production S-300PMU2 / SA-20B and S-400 / SA-21 SAM systems. The characteristic array of satnav antennas is employed for differential carrier phase measurements. The TEL is a legacy 5P85SE (image © Miroslav Gyűrösi). 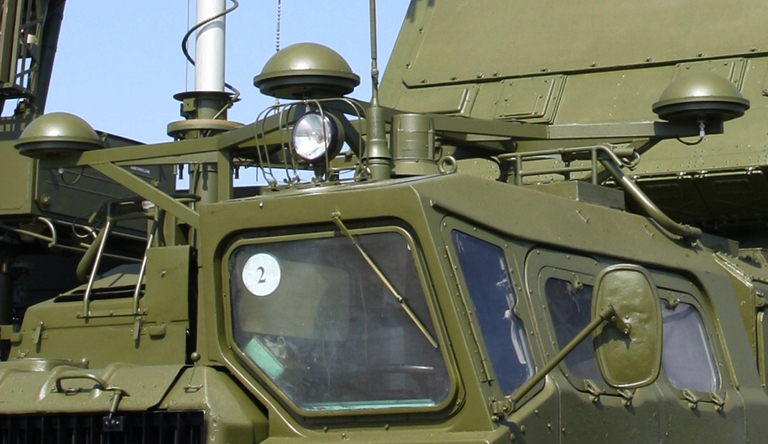 A recent option available for both the S-300PMU1 and S-300PMU2 is the NK Orientir precision navigation system, developed since 2004 by a consortium comprising the NVP Protek, NII Radiotekhniki KGTU, NPP Radiosvyaz and FGUP TsNII Elektropribor. This system uses a FOG inertial reference with corrections provided by a GPS and Glonass satnav receivers, LORAN-C and Chaika radio navaids, and an odometer. The system is equipped with a moving map display and is intended to provide a geolocation accuracy of 15 metres, and angular positioning accuracy of 6 minutes of arc, for “hide, shoot and scoot” operations. The system has been deployed on the 30N6E2 Tomb Stone engagement radar. It employs a characteristic array of rooftop antenna domes on a rigid tubular frame, employed for differential carrier phase measurements. 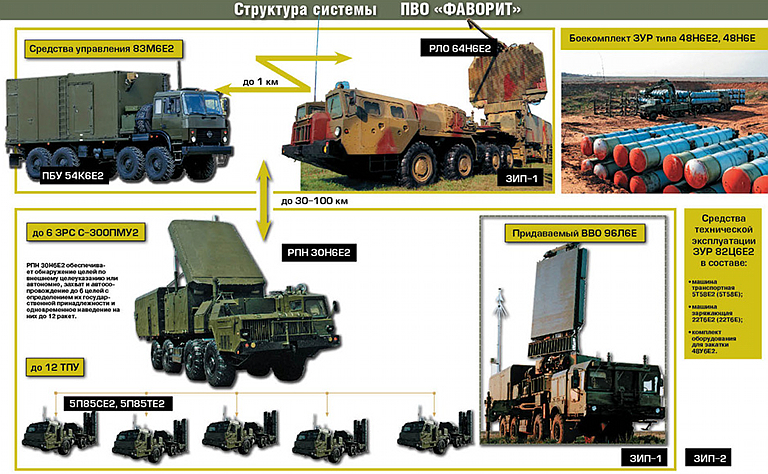 Operational PLA S-300PMU2 Favorit / SA-20B battery with 5P85TE2 TELs (Chinese Internet). 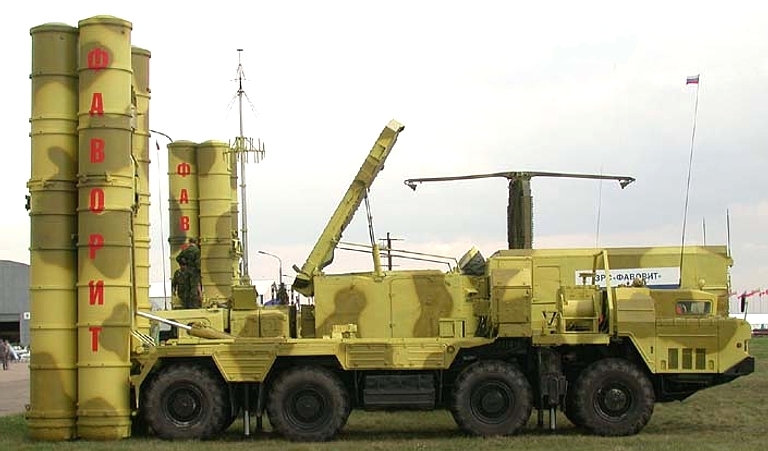 Full rate production S-300PMU2 Favorit systems recently exported to the PLA have been photographed using late model 5P85TE2 TELs with BAZ-6402 series tractors, rather than the earlier towed TEL variant. This reflects the current Almaz-Antey philosophy of maximising commonality between the S-300PMU2 and S-400 systems (Almaz-Antey). 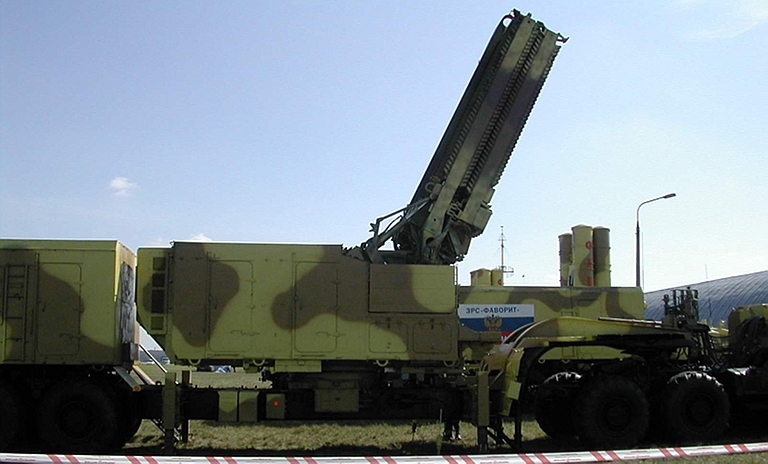 Legacy 5P85SE TELs were employed with the S-300PMU2 demonstrators. 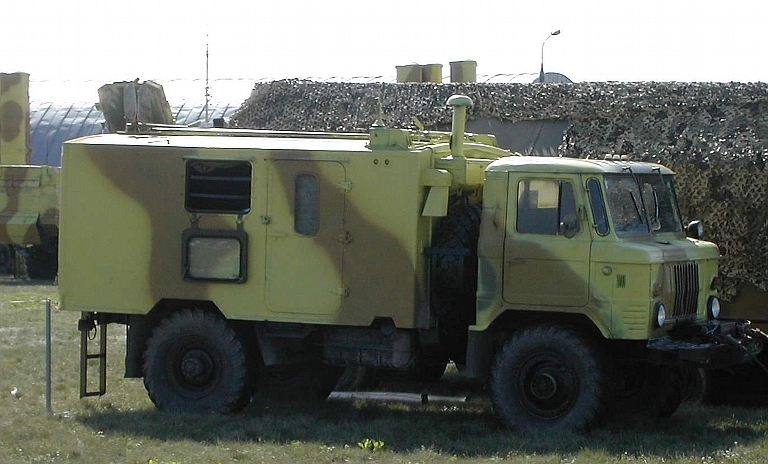 Legacy 5P85TE TELs were employed with the S-300PMU2 demonstrators. 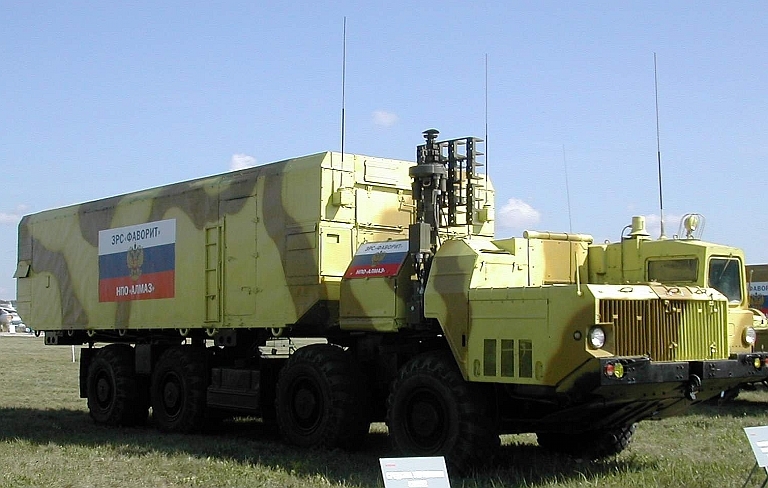 An S-400 55K6 Command Post with deployed antenna mast, carried by an 8 x 8 Ural 532361. The production SA-20B 54K6E2 CP is engineered around 55K6E components and will be difficult to visually differentiate (image © Miroslav Gyűrösi). 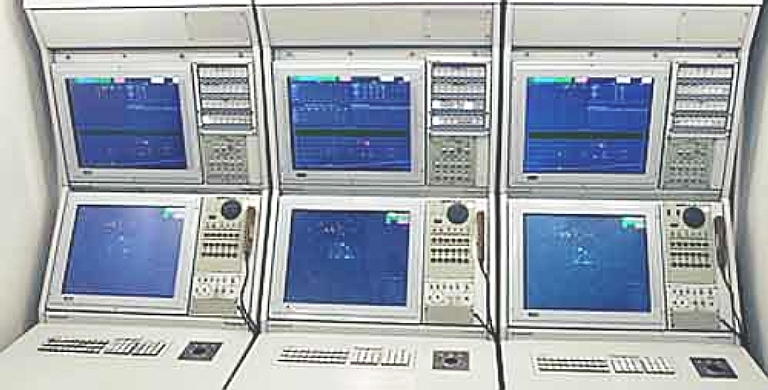 55K6E CP operator consoles in container van. 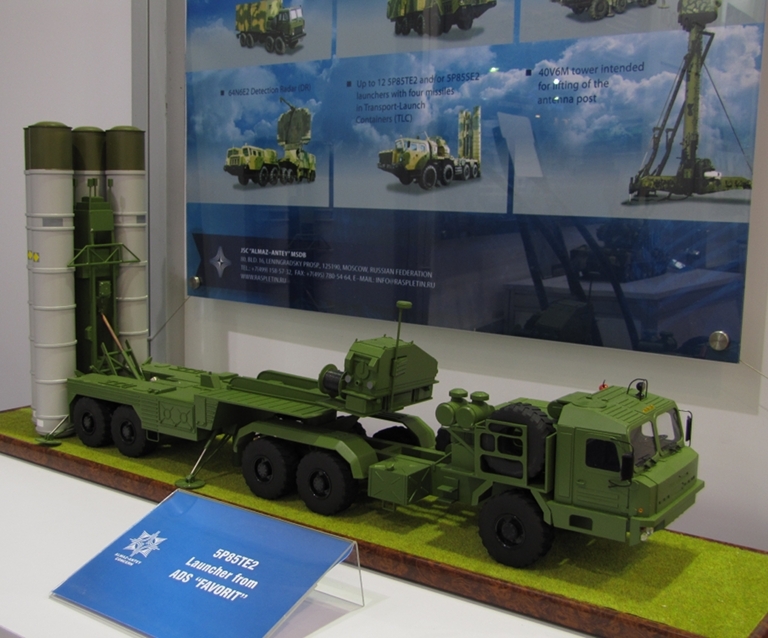 The production SA-20B 54K6E2 CP is engineered around 55K6E components (Almaz-Antey). S-300PMU2 Favorit 54K6E2 CP demonstrators used the legacy 54K6E CP as a platform. Above, below: Late production PLA S-300PMU2 Favorit batteries employ a single LEMZ 96L6E acquisition radar on the MKZT-7930 chassis, replacing the ST-68U Tin Shield and 76N6E Clam Shell (image © 2010 Vitaliy Kuzmin). 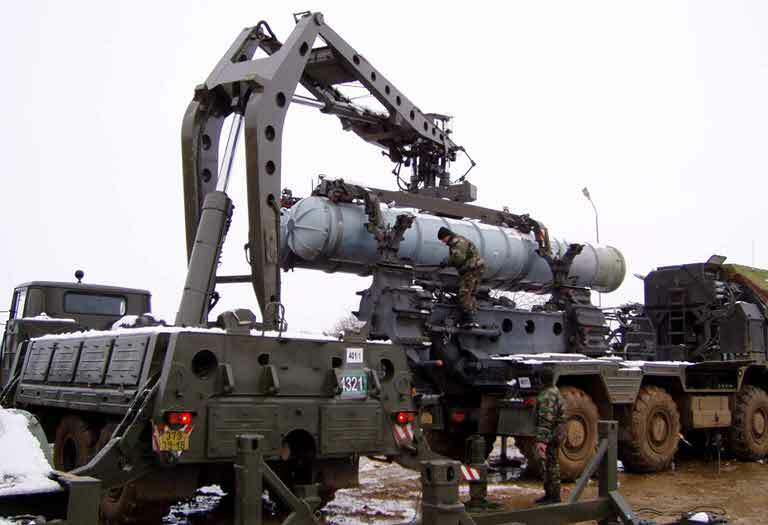 The 5T58-2 missile transporters used with late production S-300PMU2 systems are towed by the BAZ-6402 tractor (image © Miroslav Gyűrösi). Early model 5T58E transporter with four rounds loaded. 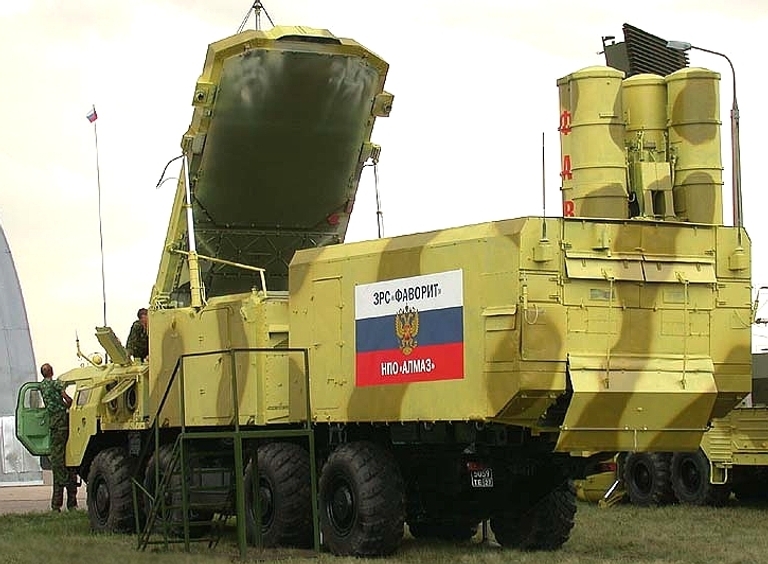 This semi-trailer is used not only for the carriage of missiles, but also to deploy other equipment, including radar and mast components (via Russian internet). 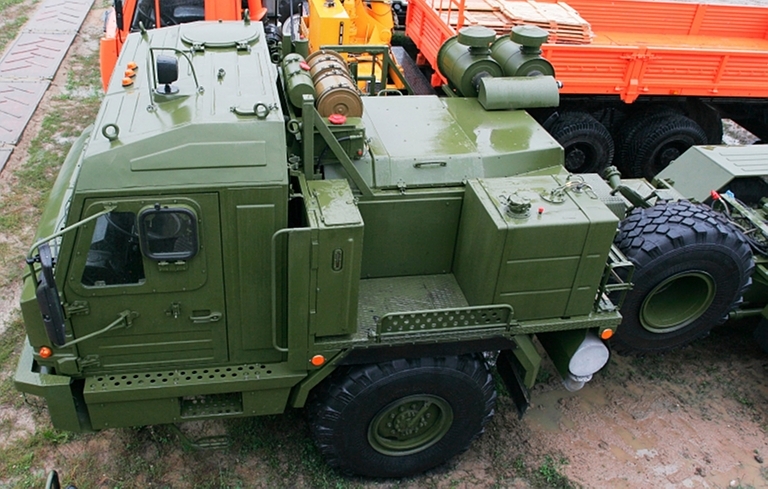 The NPP Start 22T6E2 Missile Transloader has been offered on two different chassis, a 6 x 6 legacy design, and the 8 x 8 Ural 532361 which is also used for the new S-400 / SA-21 55K6E command post (NPP Start). 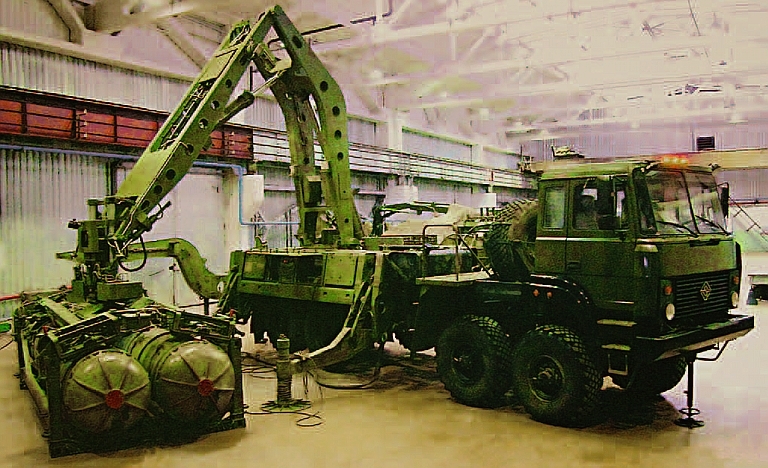 An early model 22T6 transloader on the KrAZ-260 chassis performing a transloading operation with an early model 5P85DU TEL (via Russian Internet). 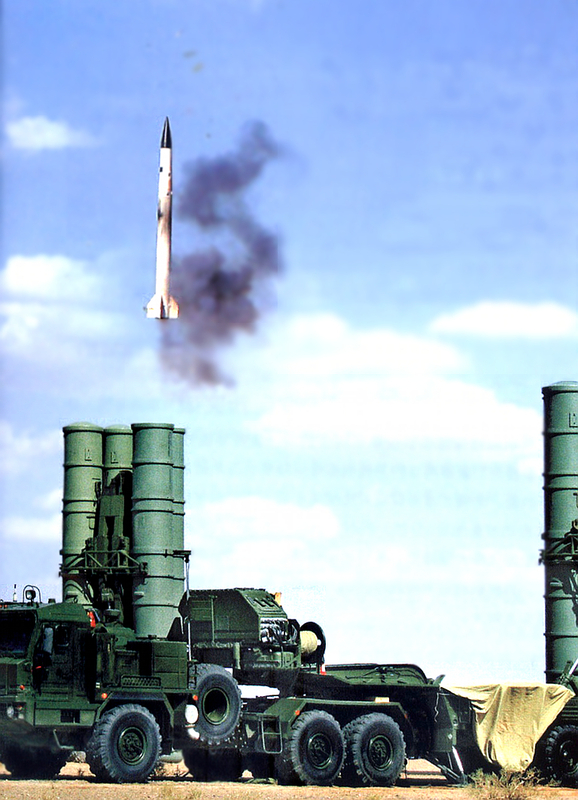 S-300PMU2 Favorit demonstrator at MAKS.